Have fun playing the GATCHAS! Also shown is the new "Harlow" skin by EGOZY of Paris for Catwa head. 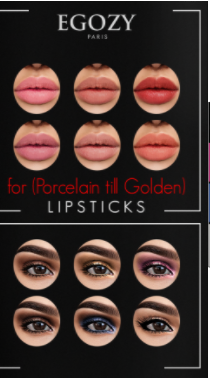 There are eye make up and lipstick options. Also worn are the mix and match "Night Essentials" by * Mon Cheri * which come available in many colors and for your popular mesh body.